Longtime heavy metal/punk/thrash/Southern rock veterans Corrosion of Conformity have finally released their ninth album. Creatively titled IX (yes, I'm being sarcastic), it continues their Pepper Keenan-free new era with the punk/crossover thrash sound of old, but by now infused with enough Southern rock to still sound a little like their 90s days. The result is a delightful sampling of their sound from the earliest days to the present. Maybe it's just my high school years of listening to these guys' previous albums through a crummy off-brand stereo that lowered my initial expectations, but the production on IX is incredible. Right from the start of the screaming, wah-wah filled guitar Brand New Sleep starts with, the drums sound so damn crisp you could snap them off, and you can hear every note of the bass as a distinct entity. Elphyn's got a bit more of Mike Dean's vocals, as it wanders aimlessly from rhythm to rhythm in a shower of crushing riffs and brilliant solos. Denmark Vesey is much further towards the thrash side of CoC, but is nowhere near as inventive as some of the other songs and is cut off fairly quickly to be followed by a couple of my clear favorites on the album, The Nectar and On Your Way. Thrashy but with plenty of melody, they slow down to doom speed after a while and really drive home their infectious sound into the listener's ears, with Dean's yowled vocals fitting perfectly with the sound. 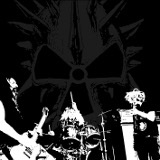 Corrosion of Conformity clearly means to live up to their name. This isn't a new direction for the band, though -- it's a mix of all their unique twists and turns of sound as a group. And it is superb. Those who believe that the band's high point was Animosity, or who only want Deliverance-style Southern stoner rock, are bound to be disappointed, because this doesn't correspond precisely to either of those periods. But if you appreciate the sound of an experienced band who can still make a heavy and fresh-sounding album, this is one you'll want to pick up.